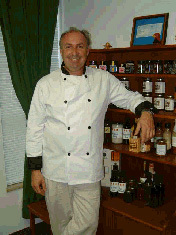 The Private Stock Sauce Company is a broad-based food manufacturing business specializing in gourmet boutique products. We retail under our own name, and also offer a highly regarded private label division. We are recognized first and foremost for the exceptional quality of the foods we make, using only the finest ingredients, most of which are grown here in Canada. Our products have a particular appeal to fine food aficionados. Our professionally trained staff members are committed to maintaining a high standard of excellence in our working environment, ensuring that you can have the utmost confidence in your product. Our facility is nut-free. We take pride in offering exceptional service to our customers, ensuring that their needs are met promptly and skillfully. Our mission is to maximize your profitability and provide customers with the highest-quality products at the lowest price possible. Please contact us to discuss how we can help your business thrive with Private Stock Sauce Company products. Chef Robert McMillan is a nationally renowned chef and saucier specializing in French and Italian cuisines, with extensive experience in residential and corporate catering, as well as a lengthy list of private label commissions. With over 20 years of experience in the food and hospitality industry, Chef Robert understands the value of creativity, craftsmanship, and personalized service. His commitment to innovation and his consistently high standards of quality are clear, whether he's designing product lines, consulting for private labels, or crafting new recipe ideas.